20 mountain bike towns around the country (in no particular order) offer bucket-list rides, new trail development, a variety of outdoor recreation, and a fun, bike-friendly vibe. 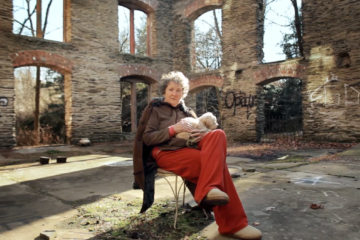 To foster authentic bike culture, a town needs more than just high quality trails. Bike on. 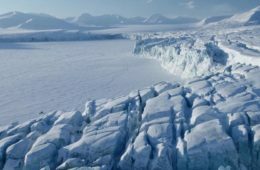 It’s almost impossible to overhype Moab. 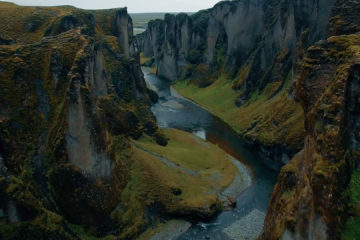 Its red-rock landscape is truly like nowhere else on Earth, and the best way to appreciate it is by riding it. 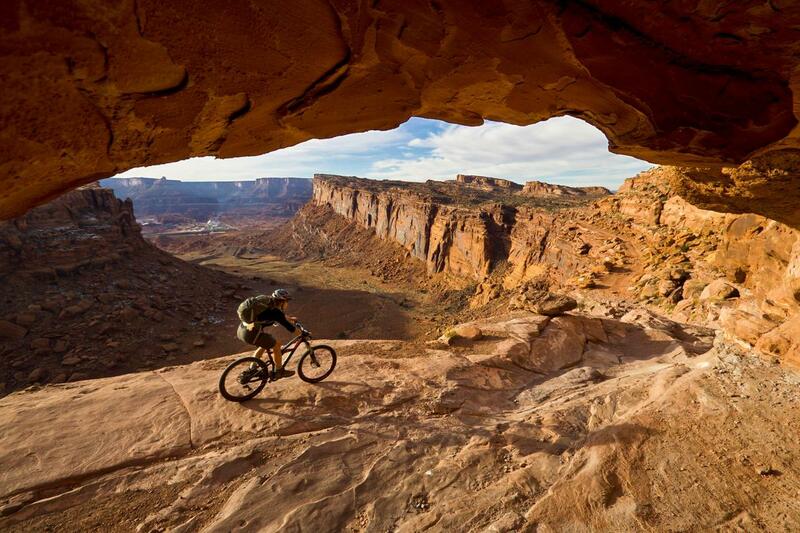 Famed trails like Porcupine Rim, Slickrock, and the Whole Enchilada steal the spotlight, but it’s the area’s newer and lesser known trails that make a trip to Moab a mandatory pilgrimage for any mountain biker. 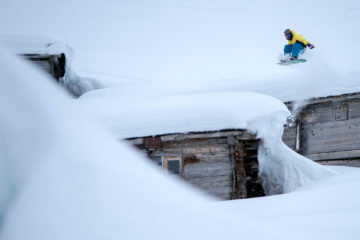 The new intermediate-friendly trail systems north of town—North Klondike, Sovereign, Klonzo, and the Brands—all connect. Navajo Rocks, off the road to Canyonlands, offers 18 miles of slickrock, flow, and scenic views and Magnificent 7 (or Mag 7) links upper and lower Gemini Bridges Road in one ledgy, memorable traverse. With sunbaked desert riding, high-alpine singletrack in the nearby La Sal Mountains, and everything in between, it’s possible to ride in Moab year-round, but temperatures are most comfortable in spring and fall (fall being your best chance to ride the Whole Enchilada). Crested Butte, Colorado, has a core bike culture that lures riders from all over the world. Its mountain bike history goes back to the sport’s infancy (the mid-1970s), when intrepid riders tackled Pearl Pass on one-speeds. 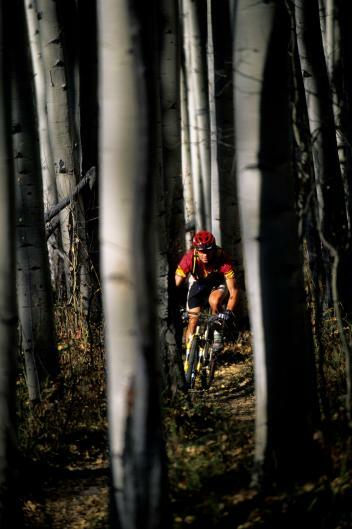 Crested Butte Bike Week dates back to 1980, making it the country’s oldest mountain bike festival. 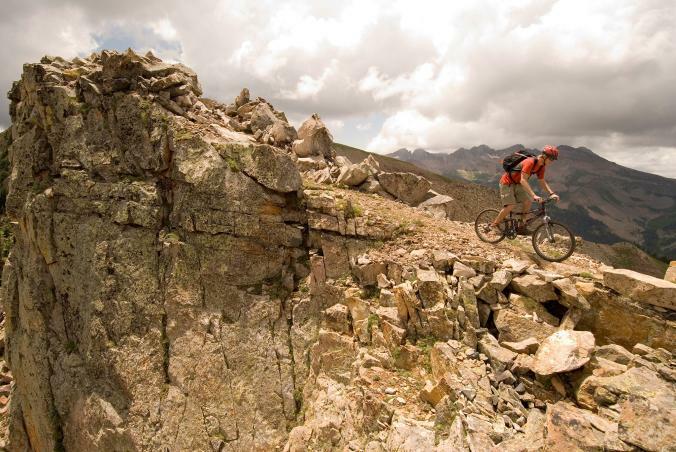 With more than 700 miles of singletrack—from buff trails casually winding through wildflowers to rugged backcountry rides climbing to 13,000 feet—Crested Butte boasts a solid week’s worth of quality rides (including classics such as Trail 401 and Reno/Flag/Bear/Deadman Gulch) with perhaps the most spectacular bike-accessed scenery in the country. Several close-to-town cross-country trails have popped up in the last few years like the beginner-friendly Lupine Trail, which follows the bike path from town north to the ski area and back. Evolution Bike Park at Crested Butte Mountain Resort includes more than 30 miles of downhill and cross-country trails. What’s more, the small town of Crested Butte is ridiculously charming (think colorful Victorians and dirt side streets) and packed with delicious eateries and fun watering holes. 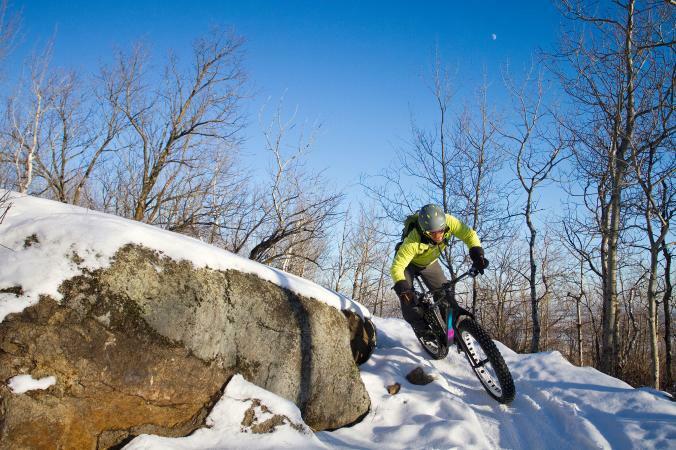 Soft, buffed singletrack that winds from Darling Hill Ridge to the Passumpsic River combines with more technical trails on Burke Mountain to form more than a hundred miles of well-designed multiuse trails. 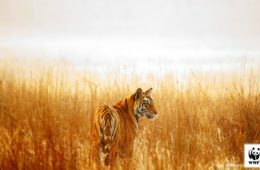 One of the best newish cross-country descents, Skydive to Swan Dive, flows from wide-open hardwood glades into mossy spruce forest, following the terrain’s natural undulations. The lift-accessed Burke Mountain Bike Park on the ski area offers 2,000-vertical-foot downhill trails. Access from East Burke is as easy as it gets. All the aforementioned riding is a quick peddle from the village, which with a library lawn, gazebo, and babbling brook as the centerpiece of downtown is about as postcard Vermont as one could imagine. 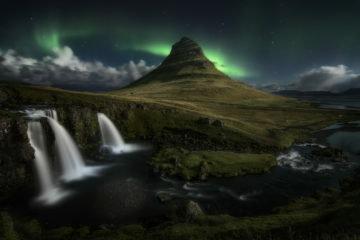 The International Mountain Bicycling Association (IMBA) designates destinations as “ride centers” when they offer something for every rider, from backcountry epics to beginner-friendly singletrack. Of the 37 in the world, the first gold-level status was awarded to Park City. Beyond the sheer quantity of trails—about 400 miles of singletrack—Park City’s active and productive bike community has helped link them in a highly functional, user-friendly network. 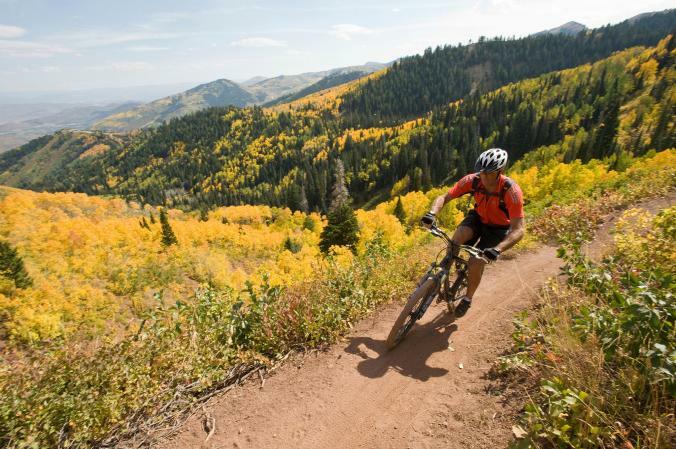 Park City’s trail options include long, flat cruises, intermediate rolling terrain, and alpine singletrack with challenging climbs and thrilling descents. 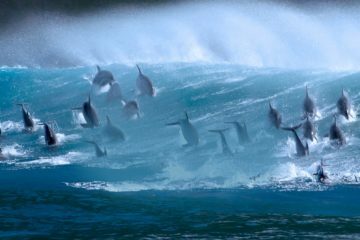 There are even lengthy tours like Mid-Mountain and Wasatch Crest. Plus, Deer Valley, Canyons Resort, and Park City Mountain Resort (now one property) all offer lift-assisted riding, which makes access to the higher alpine trails even easier. Gravity aficionados flock to Canyons Bike Park for its freeride trails (the lifts also access 20 miles of cross-country trails). Somehow the world-class mountain biking in Sun Valley, Idaho, remains relatively under the radar. But with more than 400 miles of singletrack (including lift-accessed downhill trails on the ski area), 30 miles of paved bike paths, and spectacular alpine views, Sun Valley really is one of the great riding destinations, period. Generally, trails within a 10-mile radius of town are smooth and fast. As you venture farther out, the terrain becomes rockier and more technical as trails climb into the subalpine and alpine. 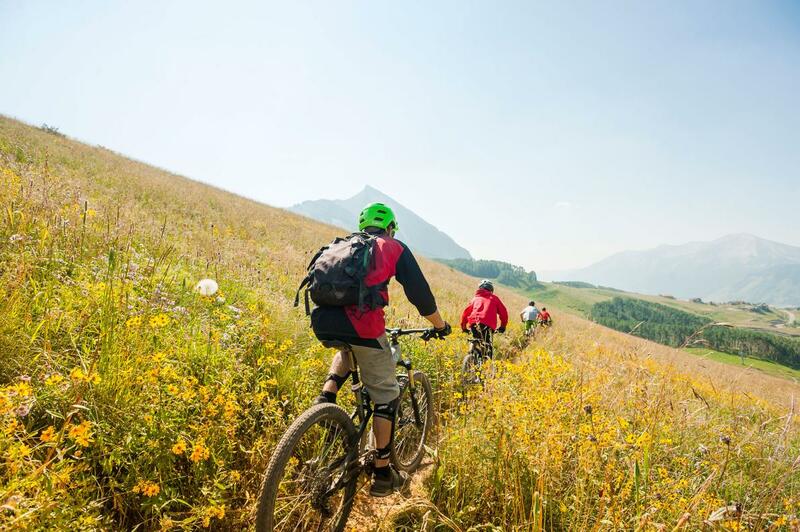 Sun Valley Resort offers lift-accessed biking on Bald Mountain, where riders can cruise down 3,400 vertical feet of big mountain terrain, and nearby towns Hailey and Ketchum offer bike parks for everyone from toddlers on Strider bikes to seasoned riders perfecting their airs. The Osberg Ridgeline Trail follows a 9,000-foot-high ridgeline that was scorched in the 2013 Beaver Creek wildfire and offers a 3,000-vertical-foot meandering descent into town. Here, you’ll find high-class culture, fun-loving locals, and enough quality restaurants and bars to keep the most sophisticated mountain biker satisfied. Located in southwest Colorado, bordered by huge mountains and high desert, Durango enjoys a near perfect climate and an extended mountain biking season. With a wide variety of trails, easy access (think two-hour loops leaving downtown in all four directions) and a history of breeding elite cyclists (local riders include legends such as Ned Overend, Juli Furtado, Myles Rockwell, and Tom Danielson), Durango is a cycling hotbed within a bike-crazy state. From the rock-free Meadow Loop in Horse Gulch to the technical downhill of the Haflin Creek shuttle run, the trail options in Durango run the gamut. Hermosa Creek Trail—a 26-mile backcountry descent from Durango Mountain Resort back to Durango—is considered one of Colorado’s best rides. The Animas River Trail follows the river through the heart of Durango, a gold-level Bicycle Friendly Community. The local youth cycling program is more than 350 kids strong and churns out national champions each year. Home to Fort Lewis College, Durango enjoys a youthful vibrancy, cultural offerings, and a great restaurant/brewery/coffee shop scene. A small college town in Virginia’s scenic Shenandoah Valley, Harrisonburg is enjoying a mountain bike boom that’s bringing the community front and center as an example of productive cooperation. Locals chip in with trail maintenance, and many of the underground events require trail-work days. IMBA designated the area a bronze-level ride center for its progressive trail-building philosophy and organized network that caters to everyone from novices to the many hard-core mountain bikers (like Jeremiah Bishop) who call “the Burg” home. Around 500 miles of diverse trail weave around town and George Washington National Forest. Novices can start off on the green loops at Hillandale Park and work their way up to intermediate and advanced trails. Ride the lift at the Gravity Logic-designed Bryce Mountain Bike Park for downhill flow trails or ante up for one of the epics—the Southern Traverse or Spruce Knob. 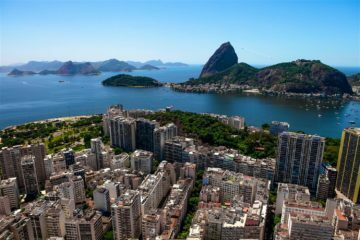 The revitalized and bike-friendly downtown includes 19th-century architecture, ethnic restaurants, local fare, event-heavy bike shops, breweries, and a designated Arts and Cultural District. James Madison University keeps Harrisonburg’s population youthful. 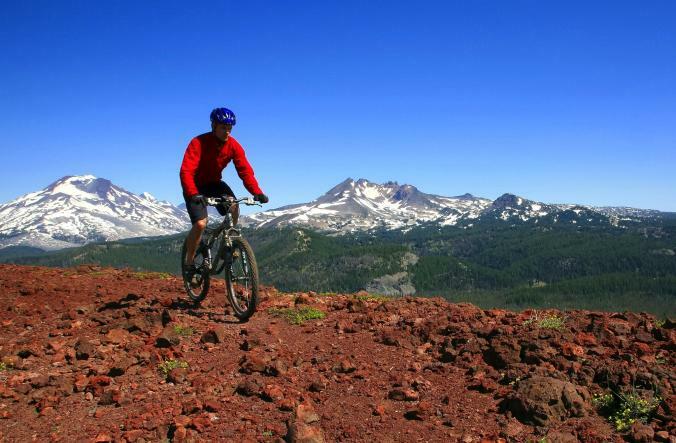 Located in central Oregon’s high desert at the eastern flank of the Cascade Mountains, Bend offers around 300 miles of easily accessible linked trails. Exhaust the smooth, rolling, pumice-like singletrack that’s rideable almost all year and you have more than 700 other miles of trails within a 90-minute drive, including rowdy downhill shuttles in Oakridge and the technical McKenzie River Trail, Oregon’s signature ride. From the west side of Bend, the fun, flowy trails within the popular Phil’s Trailnetwork are a short pedal away. In between town and Mount Bachelor Ski Resort, the Wanoga trail system includes local favorites like Tyler’s Traverse, a sustained downhill flow trail, and the North Fork-Flagline-Southfork loop, which opens on August 15 each summer. 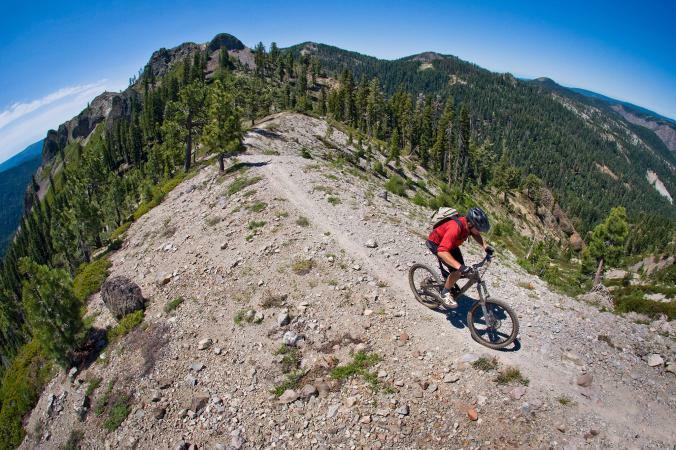 Mount Bachelor Bike Park offers the mountain’s first gravity-served bike trails. Bend has boomed to a population of more than 80,000, but its compact downtown and charming, tree-filled west side along the meandering Deschutes River, makes the town feel much smaller. Don’t forget the hip food scene and the most craft breweries per capita in the country. More than an hour’s winding drive from the nearest interstate, tucked into the Sierra foothills at the confluence of two rivers, the tiny town of Downieville relies on mountain bikers to keep it alive. Fewer than 350 people reside in what was California’s fifth largest town during the state’s gold rush, and the trails built by prospectors now lure mountain bikers. Most weekend warriors come to check the Downieville Downhill off their bucket list, but the area offers around 500 miles of trails. While the trail network includes something for every skill level, most of Downieville’s terrain is challenging, steep, and rugged. A short drive from town, Lakes Basin offers technical and challenging trails along numerous alpine lakes. Nearby Mills Peak offers a 3,000-foot descent locals call one of the flowiest downhills you’ll ever ride. The picturesque gold rush town includes historic buildings, narrow streets, and wooden sidewalks. The Downieville Classic, a two-day mountain bike festival, includes a point-to-point cross-country race to the crest of the Sierra Nevada and down to Downieville, as well as a downhill race that drops 5,000 vertical feet in 15 miles. The nearby Pisgah National Forest offers a lifetime of mostly technical riding (locals estimate between 200 and 1,000 miles of singletrack) like Pilot Rock and Laurel Mountain Trail, and DuPont State Recreational Forest offers around 100 miles of everything from machine-built flow trails to granite slickrock with sprawling views. At the entrance to Pisgah National Forest, the Bike Farm offers a 440-acre biketopia of glamping, guide and coaching services, a trail network, and a skills park. With a population of around 8,000, Brevard has old-school small-town charm, great barbecue, and bike shops that serve coffee and beer. 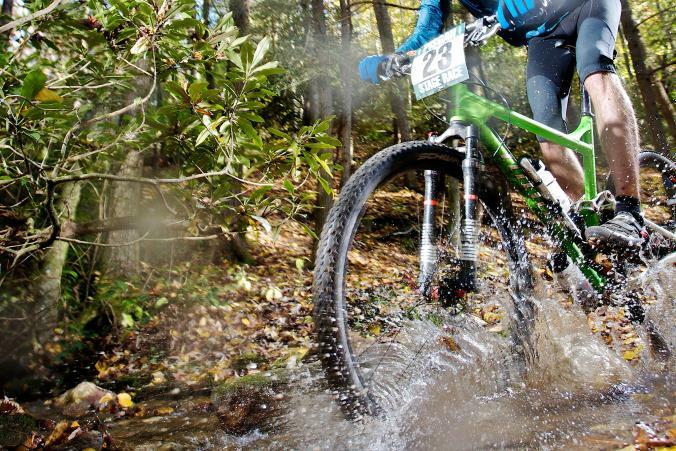 The area hosts several cycling events, including the famed Pisgah Stage Race, a five-day endurance mountain bike race through the rocky, rooted terrain Pisgah is known for. 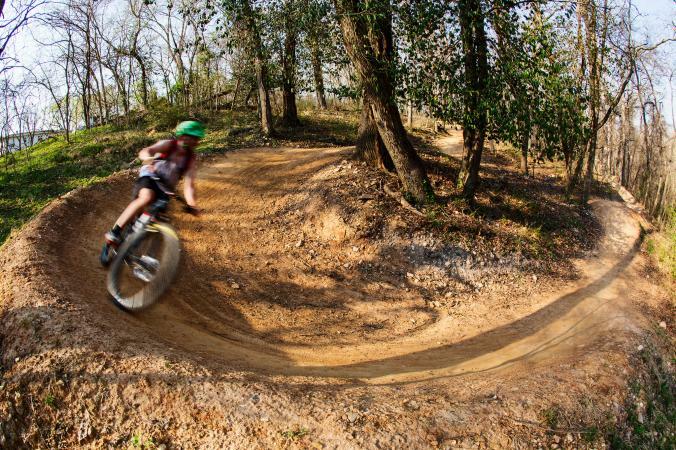 Of all the places in the country to conduct their mountain bike test last year, Bike magazine chose northwest Arkansas because “they are building trails faster than you can ride them.” A year prior, the IMBA hosted their World Summit in Bentonville. The network has been called one of the most elaborate and accessible community-driven trails systems in the world, and Arkansas now ties Colorado for the number of IMBA Epic trails. While the first Ozark Mountain Bike Festival was held in 1989, you can thank Walmart for the recent boom in trail building in northwest Arkansas. Specifically, Tom Walton, the mountain bike-loving grandson of Walmart’s founder, and the Walton Family Foundation, which donates land, helps back construction, and funds trail maintenance. Mountain bikers can access 100 miles of singletrack from bike paths right in downtown Bentonville, like Slaughter Pen’s 20-miles of machine built flow that crisscrosses a 36-mile bike path dotted with public art. 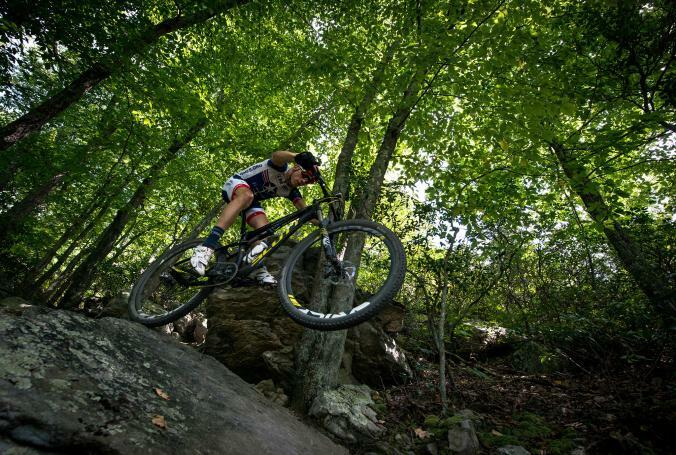 Surrounding trails offer gravity-focused jump lines in the Coler network, technical rock gardens on Mount Kessler, and family-focused singletrack and a skills park at the Lake Atlanta Trails. Nearby, at Upper Buffalo, 40 miles of trail circle the highest point in the Ozarks. Bentonville’s bike boom means good coffee, hip bike shops, food trucks, and places like the Bike Rack Brewing Company and the Pedaler’s Pub in the town’s scenic downtown. 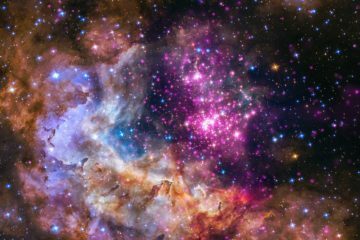 History, art, culture, and food have long lured visitors to New Mexico’s capital. 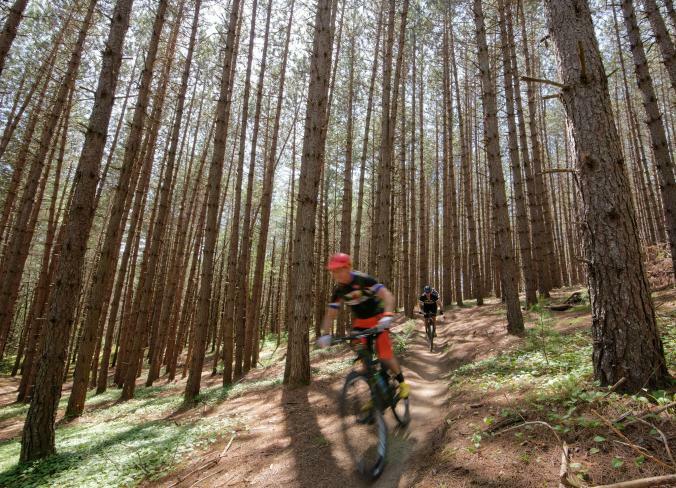 Now, thanks to attention from IMBA (it’s now a silver-level ride center) and better marketing to outdoor tourists, mountain biking draws a new crowd. From its high desert valley to the summits of the Sangre de Cristo Mountains, Santa Fe offers trails for days—and 320 days of sunshine a year to enjoy them. The La Tierra Trails offer around 17 miles of fast, flowy, well-signed trails from downtown, and two jump parks to boot. For more technical singletrack near town, the Dale Ball Trails serve up 22 miles of the rockier version. The famed Winsor Traildrops 3,400 feet in 10 miles and starts with a scenic climb along a creek or a shuttle. 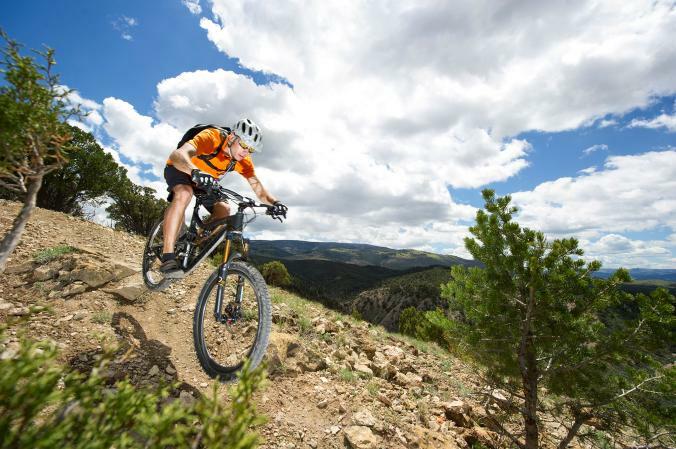 Endurance lovers can ride the Big Friggin’ Loop, a 65-mile route that the grassroots New Mexico Endurance Series races each year, and the Angelfire Bike Park offers 60 miles of lift-accessed trails for the downhillers. Off the bike, wander Santa Fe’s pueblo architecture, check out a museum or gallery, and sample what is arguably the best food scene of any bike town. Louisville’s riding culture is one built on thoroughbreds, but bicycles are making headway as the new steed in town. In the last few years, Louisville opened a defunct railroad bridge over the Ohio River to bikes and pedestrians, launched a bike share program, and hosted the Cyclo-cross World Championships. Once complete, the 100-mile non-motorized Louisville Loop will encircle the city and link neighborhoods to parks and, the Kentucky Mountain Bike Association hopes, 100 miles of natural-surface singletrack. For now, the Cherokee and Seneca Park systems offer the most accessible singletrack in town. Combine the intermediate trails of Cherokee Park with the 2.2 miles of technical sections and short, steep climbs of Seneca Park, plus the golf course lap, for a 10-mile loop. A popular after-work ride, Waverly Park offers fast trails with some challenging hills through 300 acres of hardwood forest. The most surprising mountain bike trails in Louisville can be found in a limestone cavern 75 feet below the city zoo. The Louisville Mega Cavern—the world’s first underground bike park—comprises 320,000 square feet of 45 trails, jump lines, pump tracks, BMX, singletrack, and more. 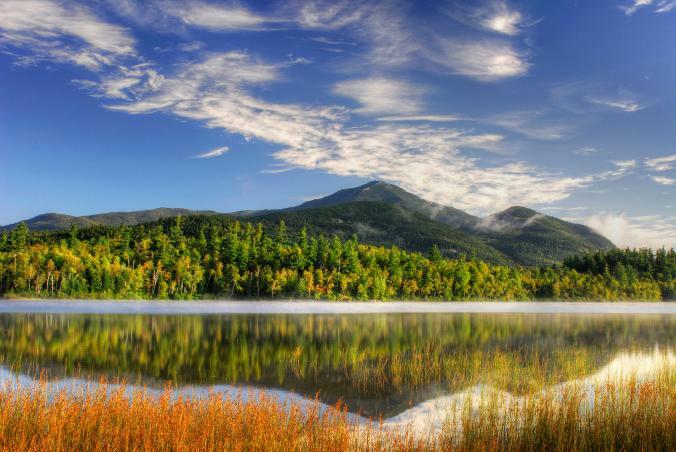 Six-million-acre Adirondack Park in upstate New York, though touted as one of the outdoor capitals of the East, has never been a mountain bike destination. But in last six years, the Barkeater Trails Alliance has built more than 20 miles of new singletrack in the communities of Lake Placid, Wilmington, and Saranac Lake. Wilmington boasts a main street with ride-from access to the state trail systems, the region’s only dirt jump park, the Wilmington Whiteface 100-kilometer race, and the annual Bike Fest, which now draws more people to the town than any other single event. And Whiteface Mountain Bike Park offers 2,426-foot downhill runs, the longest vertical drop in the East, and some of the gnarliest, techiest, lift-accessed trails in the country. Wilmington’s Flume Trails offer smooth, intermediate singletrack down low and rugged, rocky, technical riding higher on the mountain. Hardy Road attracts 20 to 45 riders every Friday evening for “Hardy Hour” on the network’s smooth singletrack, hand-built flow trails, and challenging slick slab climbs. The Poor Man’s Downhill lures riders with a $5 van shuttle halfway up Whiteface Mountain to ride down 1,200 vertical feet over three miles. 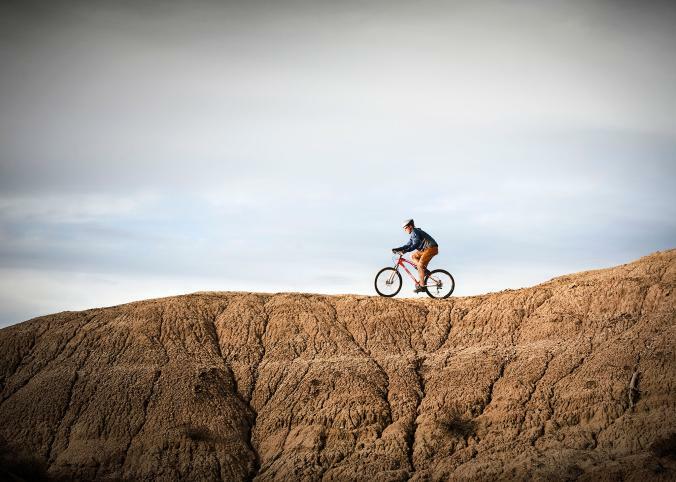 This high-desert town halfway between Denver and Grand Junction has turned heads for driving its economy through mountain biking. 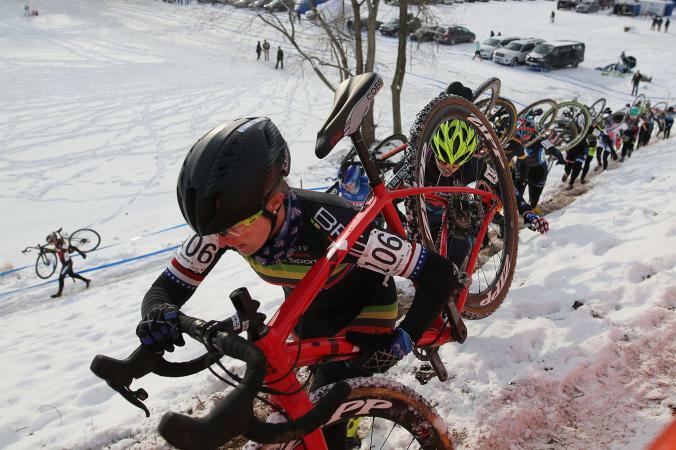 The state has singled out Eagle as a model cycling community, and the town’s mayor earned a national award for building a trail that hosted the High School Cycling League State Championships. 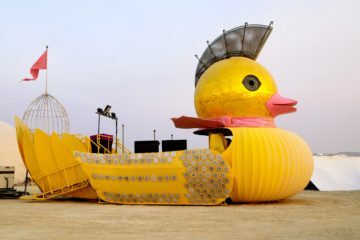 And events like the decade-old Eagle Outside Festival lure active tourists and showcase the area’s trail networks. Now, thanks to Eagle’s Singletrack Sidewalks program, which is working to connect neighborhoods with schools and trailheads, many Eagle residents can access dirt trails from their driveways. The smallest of cyclists can “flow” to school and visitors can start and end any ride from downtown. The newly extended Haymaker Trail offers berms, tabletops, rock bridges, rolling, fast terrain, and more. Hardscrabble Ridge takes riders above treeline and nearly 4,000 feet above town, and Sawmill offers a techy descent. 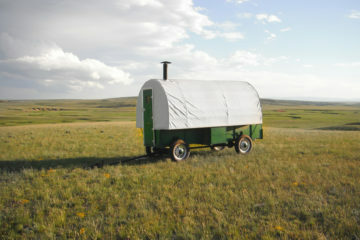 Eagle Ranch offers a rollercoaster ride, and the Boneyard trail network is easily accessed off Interstate 70. Just over the Elk Mountains from Crested Butte, Aspen has long been overlooked as a mountain bike destination. But in the last five years, more than 28 new miles of singletrack have gone in between Aspen and Snowmass, most of which is machine built, well signed, and intermediate friendly. The Snowmass Bike Park grows every year, and its valley cross-country trails now link up to form a 24-mile loop. In 2017, it’s again hosting the only U.S. stop of the Enduro World Series. Sky Mountain Park offers the best taste of the new flow trails, which include a downhill trail with berms, tabletops, and jumps. Just above Aspen, Hunter Creek Valley still offers roots and rocks to satisfy the old guard, plus new trails like Hummingbird Traverse that eliminate double-track riding. “Downvalley,” new trails are popping up from Basalt to Glenwood Springs, where you can find dry riding in shoulder season. For more than 20 years, the Aspen Cycling Club has been hosting weekly road and mountain bike races all summer that draw a loyal following from everyone from high schoolers to local road pro Tejay van Garderen. Warm up on the Danimal Trail’s advanced dirt jumps to prep for Flying Squirrel, an expert downhill trail with 35 features that can boost riders 25 feet in the air. Perfect your cornering on the Flow’s three miles of berms. The Copper Harbor Trails Club contracts trail builders and hopes to purchase a large swath of adjoining timberland to expand the network. The first phase of the 30-mile Keweenaw Point Trail is complete; the trail will eventually follow the peninsula past waterfalls, with campsites likely along the way. The Copper Harbor Trails Fest lures enduro racers and downhillers over Labor Day weekend. 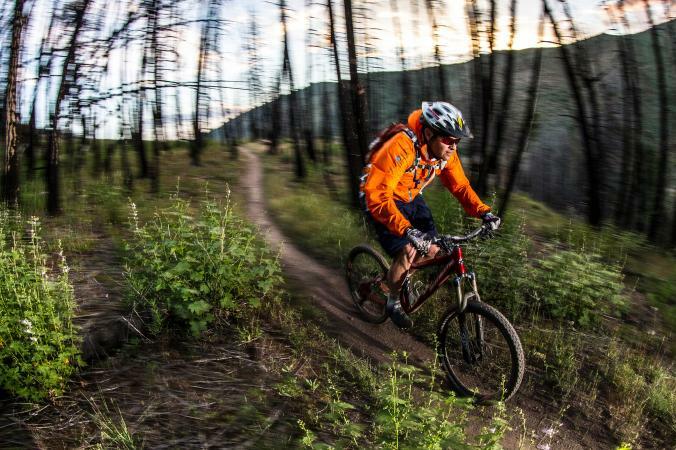 Often overshadowed by the university towns of Bozeman and Missoula, Helena is distinguishing itself as not just Montana’s capital city, but also its mountain bike capital. Its cycling-friendly downtown accesses more than 75 miles of singletrack from 20 different trailheads, and the free Trail Rider shuttle bus tows a large bike trailer to help riders access the South Hills Trail System and the Continental Divide Trail. The IMBA silver-level ride center boasts rides (and breweries) in every direction. Close to town, Mount Ascension includes two favorite downhills—Entertainment and Little Moab. Off the Mount Helena Ridge Trail, Show-Me-the-Horse includes open slopes, meadows, and thick forest. The Mount Helena Ridge Trail offers a high traverse above town with a little bit of everything, and the MacDonald Pass portion of the Continental Divide Trail offers a taste of backcountry Montana riding. 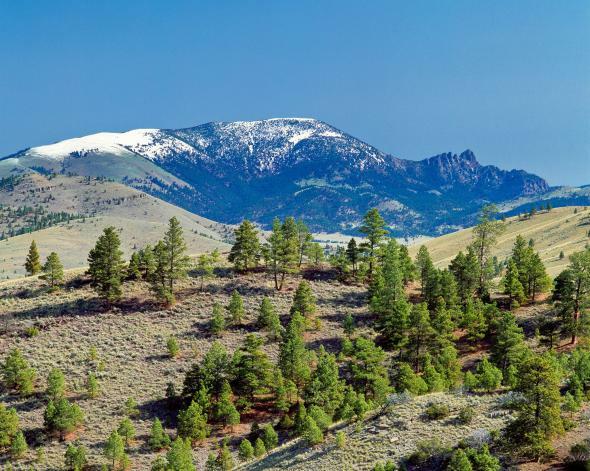 Located between Yellowstone and Glacier National Parks, Helena offers gold-rush history, grand architecture, museums, food trucks, Great American Beer Festival winner Lewis & Clark Brewery, and a rich cultural calendar. On the westernmost tip of Lake Superior, the industrial port town of Duluth(population 86,000), once considered one of the most distressed cities in America, is finding its second wind as an outdoor haven. After all, the city comprises around 7,000 acres of parks, almost 200 miles of forested trails, Class 5 whitewater, a reputation for cranking out Olympians, and now some of the best riding in the Midwest. 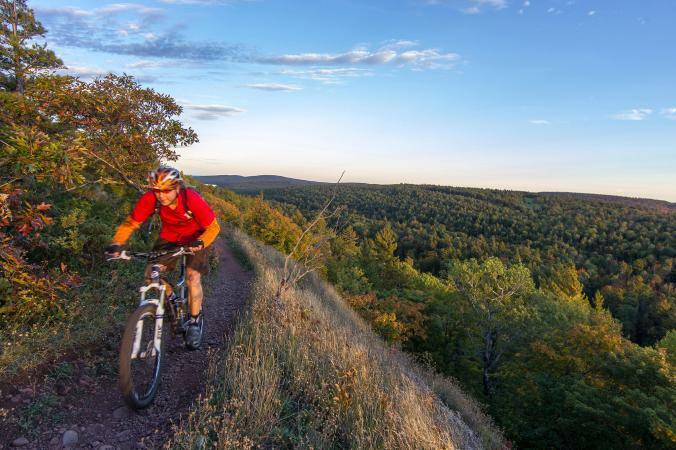 One of only four IMBA gold-level ride centers in the country, Duluth offers 60 miles of flowing singletrack, challenging trails on rough bedrock, and lift-accessed riding on a ski area overlooking Lake Superior. Networks like Lester Park, Hartley Park, Piedmont-Brewer Park, Spirit Mountain, and Mission Creek will all connect via one of the largest urban mountain-bike trail systems in the world when the Duluth Traverse—a 100-mile singletrack trail cresting a ridge the length of the city—is completed. At Piedmont-Brewer, Home Brew serves up challenging traverses and boulder drops with arguably the best views in town. Candyland on Spirit Mountain offers an intermediate rollercoaster of perfect berms, Mission Creek’s Lower Cathedral follows a fun creekbed through mature trees, and the Lester River Trail in Lester Park serves up a kid paradise with a wide, rolling trail finishing at a playground and swimming hole. Mountain bikers in Boise represent about a third of the city’s outdoor enthusiasts, and the bike community has spent decades building and perfecting an adventurous trail network, accessible right from downtown. 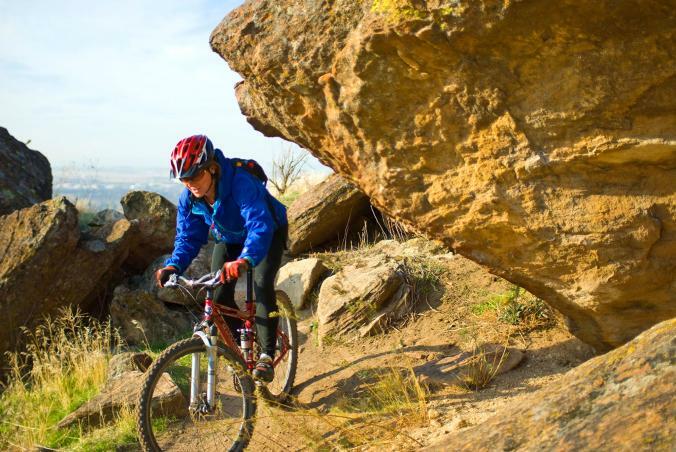 IMBA awarded their efforts in 2015 by designating Boise as a gold-level ride center for the city’s varied trail riding, progressive bike park, and healthy gravity scene. Eagle Bike Park offers a pump track, jump lines, and flow trails. Many call Dry Creek the best descent in the Boise area. Sweet Connie includes a flowy descent that has been reworked for maximum fun, and Mahalo challenges with technical singletrack and boulder drops. Sixteen miles from Boise, Bogus Basin offers lift-serviced riding. Cycling-centric community nonprofits abound. At the South Boise Women’s Correctional Center, inmates repair bikes for a program called Shifting Gears, which benefits the Boise Bicycle Project community cooperative. The Tour de Fat Boise draws more than 10,000 costumed cyclists and beer aficionados to a city park to benefit local nonprofits.